Is there a better place to launch a five-metre long, two-metre wide SUV than the good old US of A? 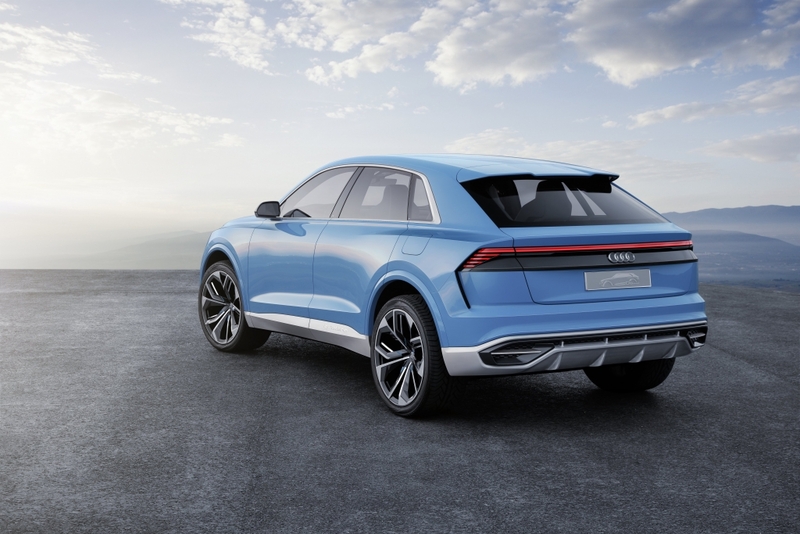 Nestled among the brutish pick-up trucks and over-sized soft-roaders was Audi’s latest creation: the equally enormous Q8 concept. A ‘full-size’ SUV that requires not one, but two powertrains to shift its hulking frame. 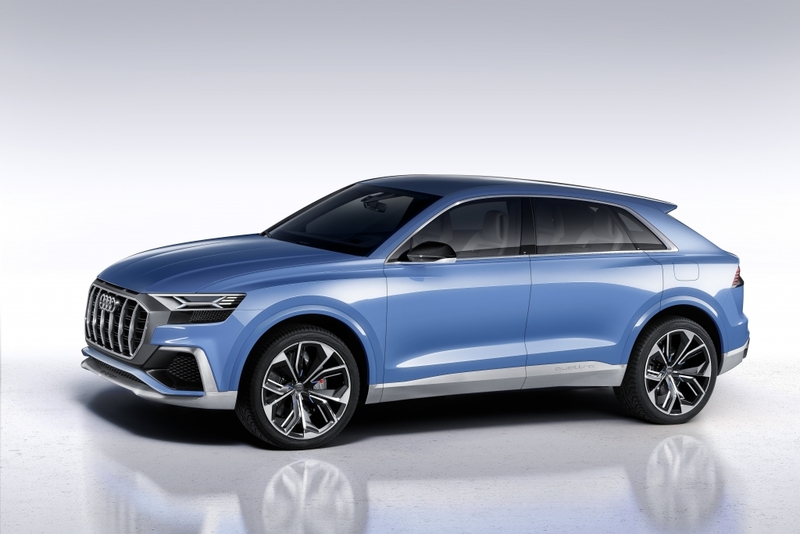 There’s plenty to get excited about design-wise, as the Audi Q8 reveals a new signature front end, with gaping honeycomb grille and upright double bars that further emphasise the car’s stature. 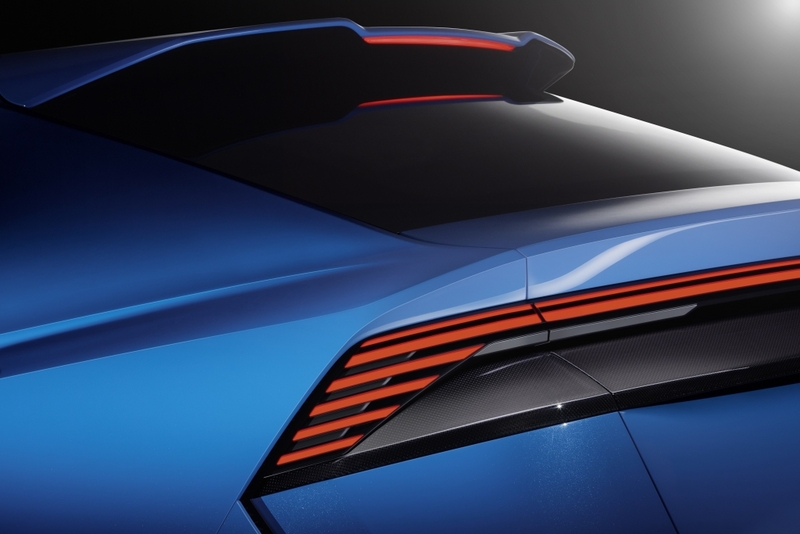 The flat, wedge-shape LED headlights boast some interesting sculptural design elements, while a an x-shaped blue laser light signature highlights the digital Matrix laser technology used for the low and high beams. According to Audi, this laser technology is broken down into more than one million pixels, which means their light can illuminate the road in high resolution and with precise control. Powering the brute is a new hybrid system, which sees a 3.0 TFSI petrol engine (producing 333hp and a maximum of 500 Nm of torque) team up with an electric motor, which generates 100 kW of power and 330 Nm. The complete system produces 442hp and a mighty 700 Nm of torque. Thanks to a lightning fast eight-speed ‘tiptronic’ gearbox, the Audi Q8 concept accelerates from 0 to 62mph in 5.4 seconds, yet it returns 122mpg on the combined cycle. Audi has let its tech department run wild with the interior of the Q8 concept, building on the marque’s impressive ‘Virtual Cockpit’ system thanks to a new and improved 1920 x 720 pixels display. Further still, information and commands are passed primarily through touch displays augmented by the Audi virtual cockpit and a contact analogue head-up display, whatever that is. Audi says the contact analogue head-up display projects important information onto the windshield in the driver’s direct field of view, seemingly placing them in the real environment. A navigation arrow, for example, appears in the same position as an actual arrow on the road. Mind blown. There is nothing from Audi on pricing but the German marque says the concept will spawn a production model that will go on sale some time in 2018. That gives you enough time to build a bigger driveway.